Mourinho and his ‘Blues’ travel to Old Trafford to face the Champions from last year. Although we had more or less a poor impression of Moyes’ team in pre-season, the team could win the Community Shield as well as the opening game away at Swansea. It is a period of change at Manchester as Sir Alex Ferguson, the most successful manager in football, retired after 27 years and up to 1500 games of being a ‘Red Devil’. 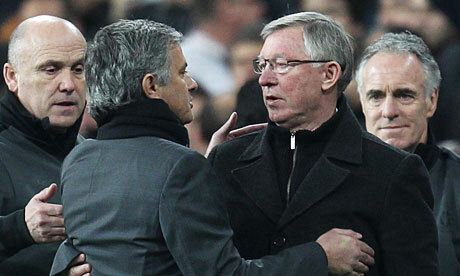 The Special One seems to be sad of the fact that he can’t face SAF anymore and will miss the intense rivalry between two teachers of football. All began in 2004, the international breakthrough of what becomes nowadays the Special One, when Mourinho advanced to the quarter-finals after celebrating a win on aggregate in Old Trafford with Porto. Post-match interviews from that night indicates that both aren’t the best friends among each other. However, the relationship between ‘the Special One’ and the Scot, who is also called ‘hairdryer’ because of his rough ‘shouting’ attitude towards referees and own players, turned out better than most could imagine. Both make personal phone-calls about heavy decision as Ferguson’s retirement or Mourinho’s plan come back to Chelsea, and nobody can forget the wine-story between these two hotheads. In the end, Ferguson and Mourinho are more similar than at the first glance, both are motivator in their own way, philosopher of the beautiful game and both have never-ending success in football. When Mourinho enter the Old Trafford on Monday, a familiar, but different face will await him, David Moyes. Moyes has a massive legacy from Ferguson that he is going to carry on. The former manager of Everton, where he stayed for 9 years, has one essential difference compared to predecessor: Titles. Success is relative, but Moyes can’t add any notable trophies to his CV. The Scot had two major tasks at the beginning of the season, and that is to solve the Rooney-situation and get the own fans on his side. It isn’t easy for a manager who couldn’t win any major titles in his career to convince fans with high expectation, who already want Moyes out after a poor pre-season. Statistically, Mourinho has one of the best records in Old Trafford while his opposition struggled in the ‘Theatre of Dreams’. It is Moyes’ first game at his new home ground and he couldn’t wish for a worse opponent to face; Moyes has never won a game against Mourinho, in fact, he lost 5 of 6 head-to-head games versus Mourinho. We might be title-favourites while others predict Manchester City as the biggest contender for the Premier League trophy, but we can’t forget that the team to face at Old Trafford finished 14 points above Chelsea last season. At both Chelsea and Manchester United, the change of manager is the biggest difference from last season. If it is KDB, MVG, Schürrle or Lukaku, all four are likely to be benched tomorrow. Manchester United remained calm in the transfer market. It is hard to say who the best player for United is, but the answer of the question ‘who the most important player is’ is quite easy to give. 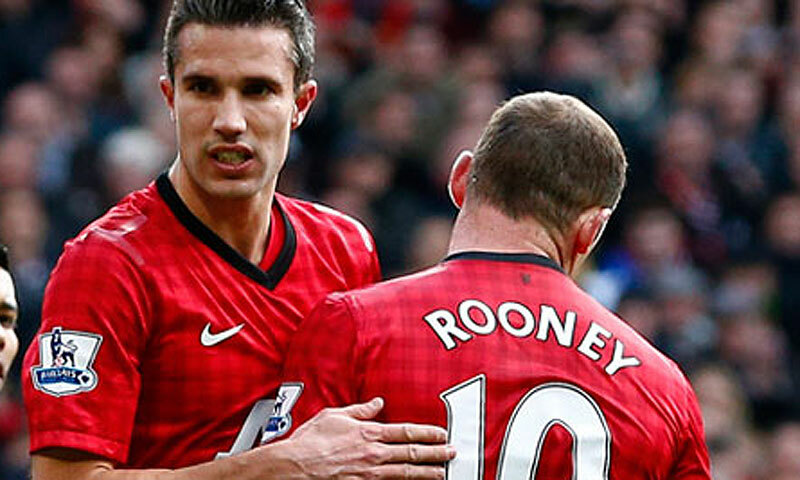 Robin van Persie recovered from a drop of form by end of last season and he’s again in a brilliant form. He scored 28 PL goals until now for Manchester United, twice as much as Torres did for Chelsea in less than half the number of games. It is hard to control him as he can score from every position and strong in the air. The Dutchman scored two brilliant goals against Swansea a week ago, one volley and a second cracking goal from near the box. Mourinho managed to isolate RVP from his teammates when Manchester United played Real Madrid earlier this year, and he’ll also try to do it this time, because if Van Persie gets the ball near the box, it is often already too late. Another name of Manchester United’s squad will also highlight the encounter between Blue and Red for a different reason: Wayne Rooney. We all know this story that is going on between Rooney, Moyes and Mourinho off the field and whether Rooney is going to stay or not. A third and final offer of Mourinho will be made after the game tomorrow to lure Rooney to London, who wants to leave Manchester but is forced to stay because of Moyes. Rooney could start the game alongside van Persie and with the knowledge of the possibility to play for the opponent soon, it will be interesting to watch how he perform in this game. Our team impressed in all five duels last year against ManUtd. The only defeat we took was the first of the five games. A certain Mark Clattenburg was the referee, and let me just say this: ‘He didn’t do his job that good’. However, our attacking midfield could always dominate against a weaker midfield of Manchester United, and it will be the key of our game. Juan Mata hasn’t picked up his form yet in his short appearances in pre-season games and against Aston Villa on Wednesday, but the Spaniard has a good record against Manchester United, scoring 3 goals in his 4 Premier League games against the ‘Red Devils’. We can expect a tight game with a lot of reasons looking forward to it. If it is Rooney, Mourinho v Moyes or the question who can make a massive step forward in the fight for the title very early in the season, this game will promise a lot and worth watching for not-Chelsea/ManUtd fans too. A win will put us 6 points ahead of ManUtd (and City). Stealing one point from the Old Trafford would be all right for me because of the fact that we are playing away, but nothing would be better than to know of being the only team to win two games away at Old Trafford in one calendar-year. God will punish the Devil on Monday night.Devil has no power over MAZACAR even in it’s own back yard. We are teaching united how to play good football come tommorow night. Chelsea always know how to play Man-U even when the god father is not there. I see chelsea and Mou humilating Man-United and Moyes tommorow. KTBFFH!!! I wrote in that I expect KDB to be on the bench because I think Mourinho will start ‘Mazacar’ in the attacking midfield. Lampard/Ramires often struggled in pivot when playing together, but they seem to have left a good mark under Mourinho by playing together in the pivot. But why has morinho not been used our best dm(mikel)? I don’t see much performance when pair lamp and rami. He ought to start lukaku and mikel on monday. KTBFFH!